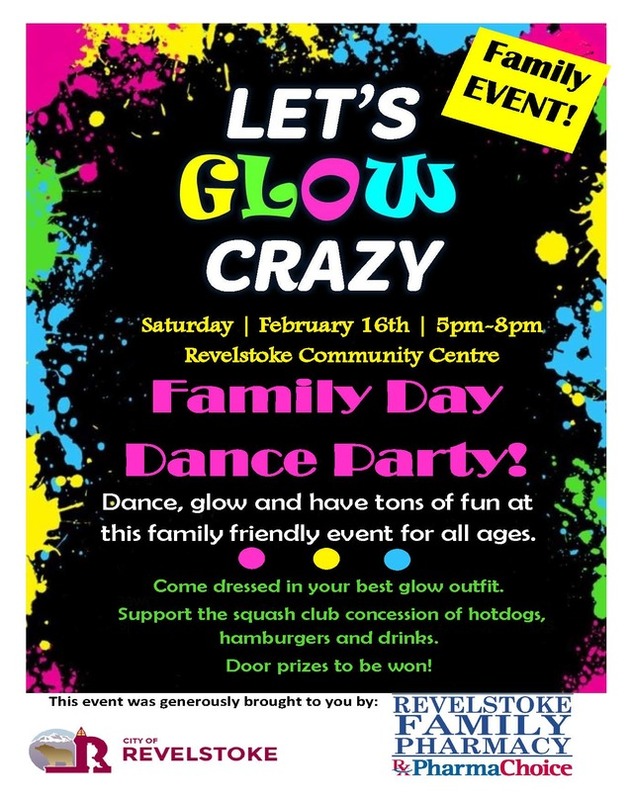 A big THANKS to Revelstoke Family Pharmacy who is the title sponsor for the Family Day Glow Party. This event is now FREE of entry! Be sure to give a shout out to them for their generosity and community support. Our local squash club is fundraising for a new squash club and will be selling hot dogs and drinks at the concession. Come support the community that supports us!